However, there are many changes under the hood, and all for the better. First off, the new Pixel is faster than its predecessor, offering you a choice between a 2.2 GHz Intel Core i5 processor or a 2.4 GHz Core i7. RAM is either 8GB or 16GB, built-in storage is 32GB or 64GB, and the new Pixel will apparently last up to 12 hours on one charge – that’s a great improvement compared to the original. The display’s specs are the same, but Google says it now comes with a wider color gamut. It’s still a 12.85-inch touchscreen with 2,560×1,700 resolution and 239 PPI. The camera is a 720p wide-angle unit, and the laptop has a backlit keyboard and a glass trackpad. It sports two USB Type C ports, one on each side, two USB 3.0 ports, an SD card slot, and a headphone / microphone combo port. The Pixel uses those fancy new USB Type C ports for charging, but you can use them for many more things with the right adapters (HDMI or DisplayPort video out, for example). Bluetooth is built-in, and there’s also 2×2 Wi-Fi 802.11ac. The laptop’s dimensions are 297.7 x 224.55 x 15.3 mm, and it weighs 1.5kg. Of course, this being a Chromebook, it runs Chrome OS. The base model, with the Core i5 CPU, 8GB of RAM, and 32GB of flash storage can be yours for $999. 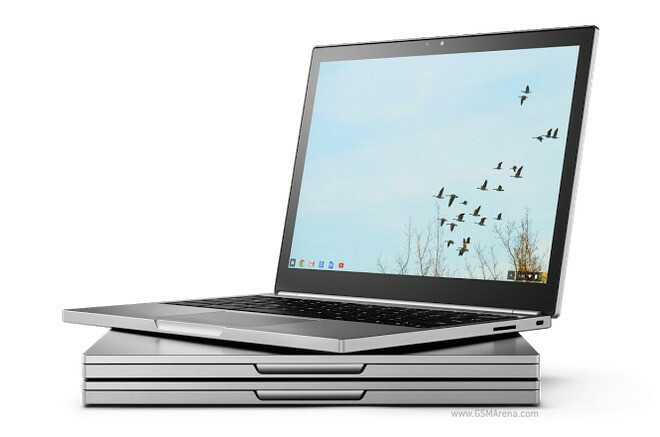 The more powerful version is dubbed Chromebook Pixel LS (for “Ludicrous Speed”, Google says), and that will cost you $1,299. This iteration comes with the i7 processor, 16GB of RAM, and 64GB of storage. The rest of the specs are identical between the two. 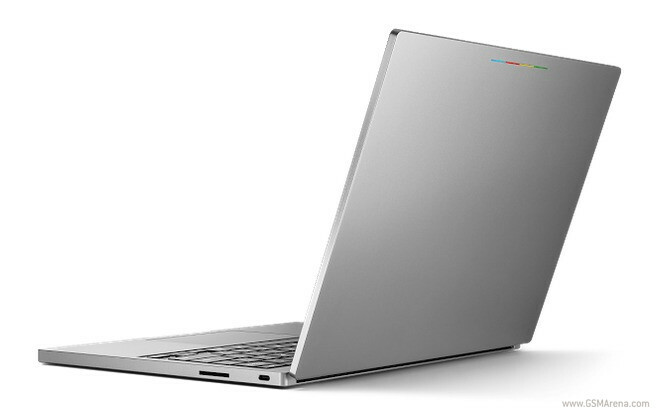 Google is offering the new Chromebook Pixel through its new online storefront for devices, now located at store.google.com and no longer part of the company’s Play Store.